The first day of trading was not bad. 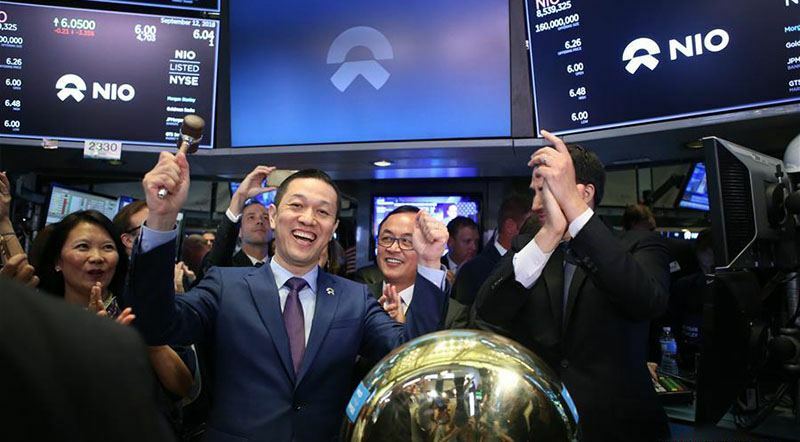 Formerly known as NextEV, NIO has gone public and started selling its shares on the New York Stock Exchange. There are 160 million shares under NIO badge, which were initially priced at $6.26. NIO has recently secured funding from Chinese entrepreneur William Li and Chinese tech company Tencent who own 14.5% and 12.9% of it, correspondingly. The first day of trading was not bad; NIO shares managed to sell 5% above their original at the end of the day. The four-year-old company has so far sold 1,600 vehicles and is getting popular among masses, which is evident from the public’s interest in their offerings. The raised capital will enable NIO to produce new models. Their first model was a limited edition EP9 track-only supercar while their first volume vehicle is the ES8 electric crossover, which sells at approximately half the price of Tesla Model X. Right now, NIO is only producing vehicles for China but likes to sell in Europe as well as the USA. In America, they already own a department in California exploring autonomous technology. When it comes to all-electric cars, NIO is not the only company attracting attention. Byton, Detroit Electric, Faraday Future, Hybrid Kinetic, Lucid, WM Motor Technology, Xpeng, and others are also working to make a mark in the electric vehicle segment. Quarterly Tesla Promotion Video Hints at A Tesla Model Y Prototype, Or Does It?